Welcome to 'Fess Up Friday, where we keep it real and live to tell about it. Mortification loves company, much like misery, so if you did anything slightly embarrassing this week please tell me about it in the comments! I have a scab on my cheek from where I smacked myself in the face pulling up my blankets during the night. I also have a bruise on my forehead from where I walked into a door. No joke. Just FYI, my husband doesn't always walk like that. I am inconsistently crunchy. I make my own deodorant, but wear liquid foundation. I make my own graham crackers but go through the Wendy's drive-through.... a lot. I ordered an all-natural bar of soap to wash my hair, and then got it color processed. Oh well, life's a journey; one doesn't become a hippy overnight. 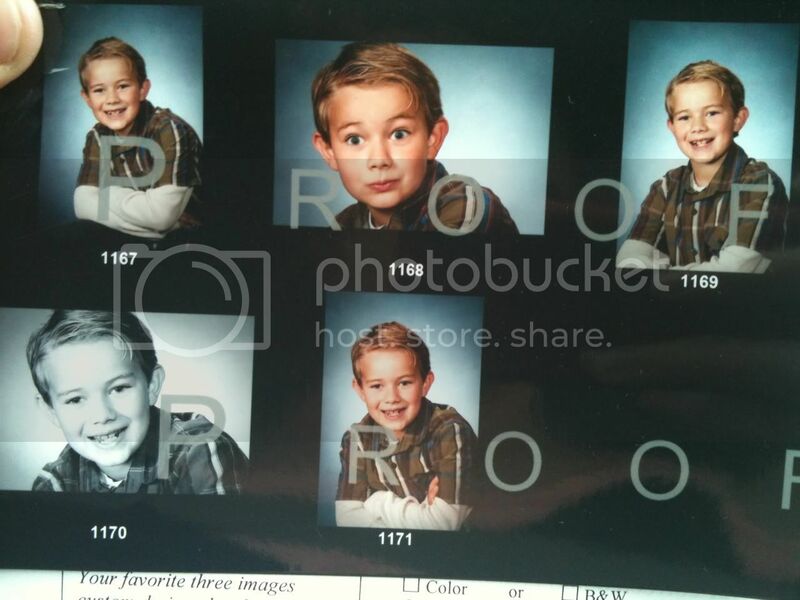 I'm the mom who had all these lovely school photos to choose from, and picked the one on the top in the middle as his yearbook photo. Three years ago one of my sons squeezed a go-gurt too hard and splattered yogurt on the fireplace. I never cleaned it up, and after a while, those white splatters started to look like part of the rock. To me anyways. This week Jarrod declared he couldn't take it anymore and scrubbed the three-year-old yogurt off the fireplace. To my surprise, it is a vast improvement. Part of me sort of enjoyed having the flu this week. My husband was over it by the time I got it, so I was able to stay in bed all day and I lost 5 pounds. I'd say it was worth it. Craft fairs make me uncomfortable. I went to one last Saturday and it felt a little like visiting the pound. You walk down this corridor lined with people trying to lure you in with their big pitiful eyes and handmade goods. How do you choose just one? Do you avoid eye contact? If you stop to look do you have to buy something? And if you DO actually buy something, are you hurting the feelings of the people in the neighboring booths? I bought these cute Christmas countdown blocks, and I swear the girls in the booth across the aisle were giving me the stinkeye. This is why I shop Etsy; less drama. However, when I took time to browse, I was very careful to keep my eyes straight ahead and maintain a fairly constant pace unless I saw something that really caught my eye!